Finding a wasp nest (or yellow jacket nest), such as the nest of the German Wasp Vespula germanica, or the common wasp, Vespula vulgaris), is a concern for many. This page is intended to provide free advice and information about how wasps build their nests, when and how to remove them if necessary, and better still, how to prevent wasps building nests in inconvenient places. Below, there are also links to advice about treating yellow jacket stings, and tips to prevent stinging incidents, as well as the importance of wasp pollination. 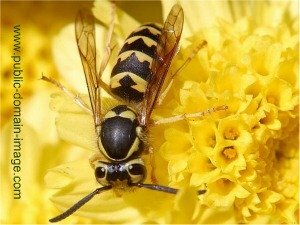 Nests made by Vespula germanica may be discovered in the ground, in lofts, or attics. Vespula germanica may build its nest again, in the loft or attic, a garden shed (perhaps stuck to the ceiling), or in a crevice or tree hollow. 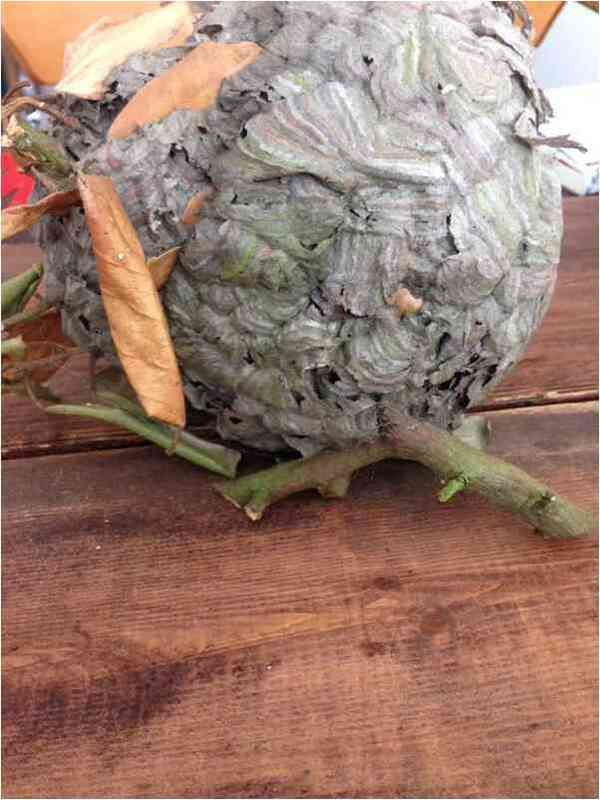 Yellow jacket nests are papery in appearance, and are actually amazing structures. They are made from small amounts of leaf and rotten wood which are chewed by wasps, and used to construct a nest, often ball shaped, and increasing in size as time progresses (from Spring through Summer). This is important to know. I was once asked about whether wasps could be 'smoked out' of the inside of a chimney breast by lighting a fire. Problem is, the wasp nest is paper and could catch fire. Wasp colonies will actually die out before winter anyway. Once the wasp nest has been deserted, this might be a time to dislodge the nest from the chimney and dispose of it. Nests can be very large, or they can be about the size of a football (soccer ball), and the colour will tend to be a shade of dull brown, grey or a straw-like shade. Yellow jackets are excellent garden helpers in the Spring, when they assist with aphid control and with pollination. If you would prefer to leave them alone, you can deter them from bothering you – see the notes below. If you have a hornet nest, or yellow jacket nest belonging to social wasps, you should not attempt to remove the nest yourself. If you must remove the nest and cannot leave it until the colony dies naturally, you will unfortunately need to call in pest control. 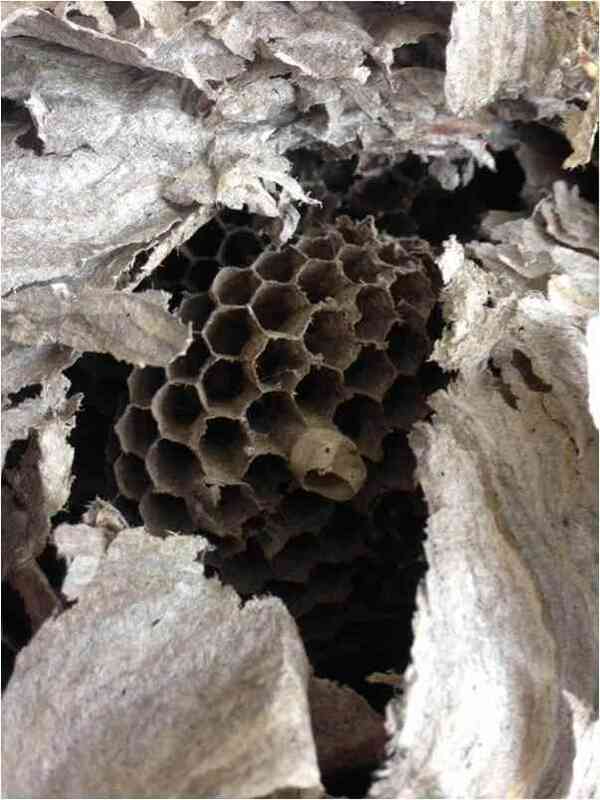 When removing the nest, they will usually destroy the wasps, but should leave at least a part of the nest behind in order to deter other wasps from building a nest in the site. Try a deet-free, natural repellent. Children can be protected by using repellents, such as sprays, and arm bands. Also, see my page on preventing stings. They are not too expensive and should last a while, but I would not recommend the paper versions available - they are slightly cheaper, but they are not very durable and you may find you have to replace it pretty quickly, so it's a false economy. However, if you have the materials you could have a go at making one. Waspinators are designed to work by mimicking a yellow jacket nest. Wasps are very territorial, and will seek to avoid territories of other wasps. They are very busy creatures, and have little time for fighting over nest sites, and so will usually steer clear of areas they believe to be populated by other wasps. Waspinators cannot completely eliminate the risk of stings, but neither can destroying yellow jacket nests – you may simply find that other wasps visit from other nests in the area. 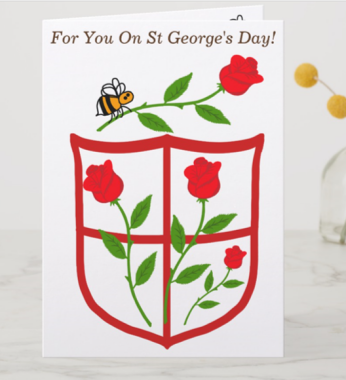 However, by using a Waspinator, and following the tips for preventing yellow jacket stings on this page about wasp sting treatment, first aid and prevention, you will greatly reduce the risk. Waspinators are non-messy, use no chemicals (less risk of contact with children, pets, ponds, environmentally sensitive areas), prevent repeat call outs of pest control agencies, and frankly, for me they are an obvious, very good value investment. To put it this way - you could spend your cash on chemicals and pest control, or you could use it to buy a pack of Waspinators that should last for quite some time. No wasps are killed, so they can go about their business pollinating and helping with aphid control elsewhere. You can also take a Waspinator on picnics. Wasps/ Yellow jackets have large foraging areas, so you may want to deter them from your eating areas. Please also remember that wasps are pollinators too, and they are are highly effective at natural pest control. You can read more about wasp pollination here. Further information about wasp nests identification and construction. Find out how to treat yellow jacket stings, and how to prevent them in the first place. Wasp Life Cycle Learn about the life cycle of yellow jackets. Wasp Pollination - Do wasps pollinate? Yes, they do! 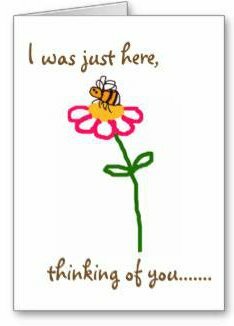 Bee Stings There is more useful information in this related section about bee stings.